This is especially useful on macOS Sierra 10.12.2 or later where clicking the battery icon no longer shows the remaining time. 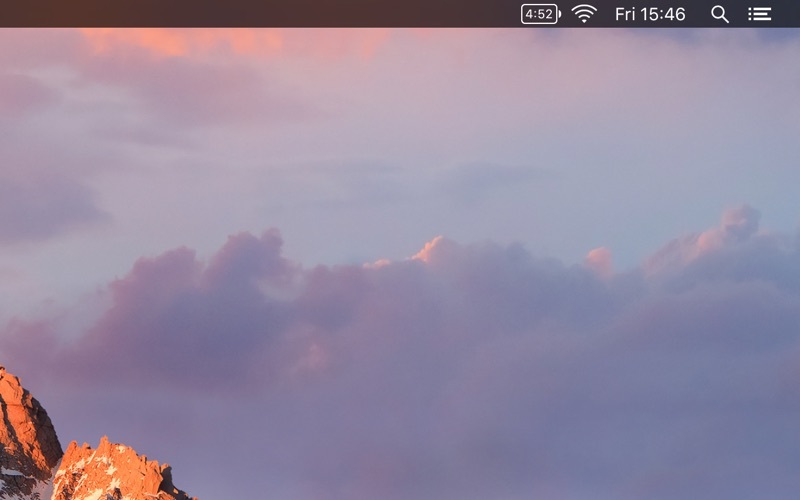 - By popular request, the battery icon is now smaller! 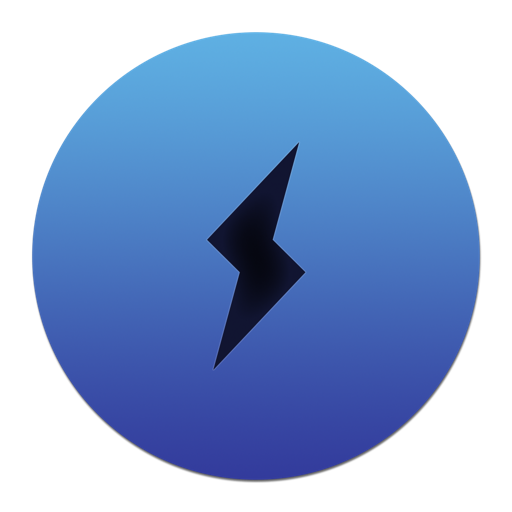 - When charging, the "time until fully charged" is shown in the menu. 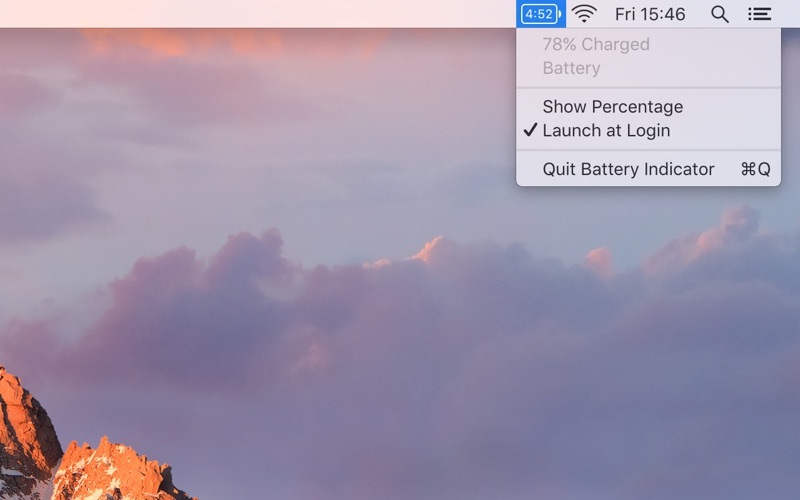 - You can now quit Battery Indicator by dragging it out of the menu bar while pressing the Command key.